Apple manufacturing partner Quanta Computer has teamed up with Israeli-based augmented reality company Lumus to manufacture lenses for smart glasses, reports Bloomberg. Lumus designs displays for AR glasses and will use Quanta for manufacturing purposes. In an interview with Bloomberg, Lumus CEO Ari Grobman said Quanta, which led a $45 million investment in Lumus in 2016, will also be able to produce AR lenses for other tech companies. The partnership will result in more affordable lenses for wearable augmented reality products, lowering the overall cost for future products. 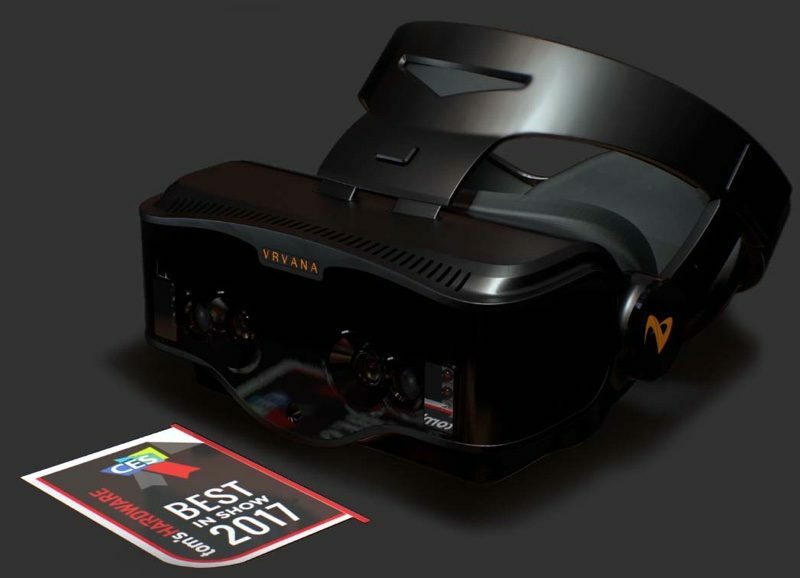 "Quanta has suggested that full AR headsets would be priced for less than the cost of a high-end cell phone. That's a big deal," Grobman told Bloomberg. It's not clear if Quanta and Lumus are working with Apple on a future augmented reality headset or smart glasses, but it is a possibility as rumors suggest Apple has a wearable augmented reality product in the works. The latest rumors indicate Apple is developing an AR headset with a dedicated display, a built-in processor, and a reality operating system called "rOS." Apple is still in the prototyping phase and is exploring different input methods like touch panels, voice activation, head gestures, and more, and it is exploring the types of applications where such a product could be used. Apple has an aggressive timeline for its augmented reality headset and is aiming to finish development by 2019 ahead of a 2020 release, but there could be delays and changes to the product as work continues. I’m not saying AR doesn’t have potential, because it does. Just like VR. People incorrectly compare VR and AR and try to shorn horn each together. I know exactly what VR is. I have an Oculus. There are things that oculus / VR do extremely well, and other things, best left to AR. Both VR and AR are in their infancy, and have a lot of potential and growth. Don’t compare 3D glasses to VR. Not the same category. VR is a lot more useful and immersive. I’m looking forward to both, especially AR Glasses. They will be useful than on AR on a phone. Actually, Augmented Reality has tremendous potential, I think even more so than VR. Augmented reality has a huge number of potential applications in the industrial world, where melding reality with simulation can help workers perform complex tasks with little training. As an example, in a utility setting, a worker can drive up to a substation that has a control system failure, don a pair of augmented reality glasses which would link to the truck's GPS and cellular network system. The system then senses where the worker is through GPS, then uploads documentation and video to the worker's backpack computer and headset. The worker can then go to the control panel, and without even being fully trained on the repair job, have everything they need at their fingertips -- and eyeballs -- to help them complete the repair quickly and safely. They can even talk remotely to tech support reps through their headset to help them with more complex repairs. Virtual reality has a tougher future. I'm looking at them like I looked at 3D glasses for TVs. Cool, but not particularly necessary. VR makes what you're looking at seem more real, and provides immersion, but they still can't push past the need for your own body motion to meet up with the visual immersion. Doom VR is a good example. Shooting everything you see is cool when you're in the world, but the running around and pushing on things is still a missing sensation. On top of that, the resolution is still lacking, and the screen-door effect is very noticeable. Until the visuals become crystal clear, even visual immersion leaves one still connected to the real "outside" world. I'm thinking we'll see a number of VR glasses sitting in the cabinet, gathering dust alongside the old 3D glasses very soon. But AR has a very promising future ahead of it. Perhaps too many are for this to ever take off. Does anyone really want to put this bulky headpiece on? If nobody can design a very slim device that looks futuristic, then I’m definitely out.